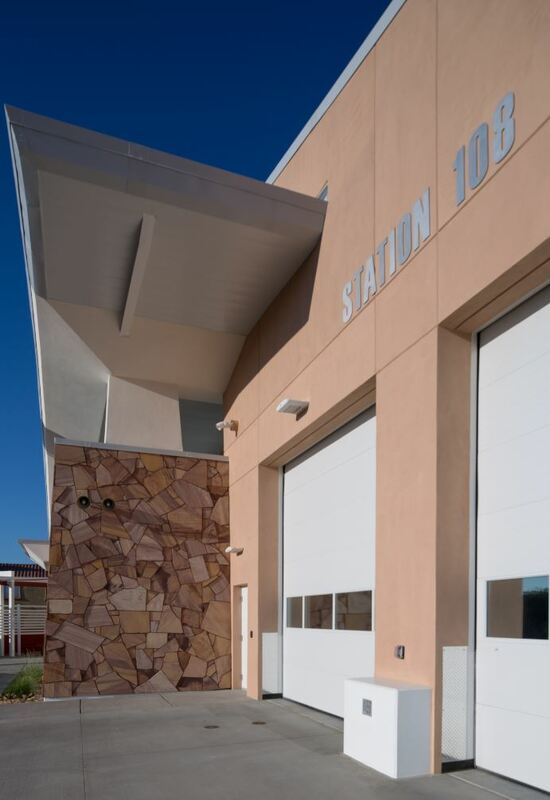 Fire Station 107 has been featured in several magazine articles won an ICF builder award and an award from Station Style magazine. 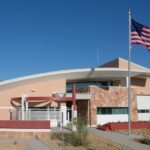 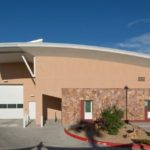 The 7,600 square foot Fire Station #108 has been featured on broadcast media with local TV coverage as well as a Nevada Senator’s Facebook page. 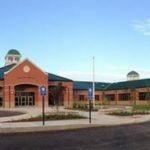 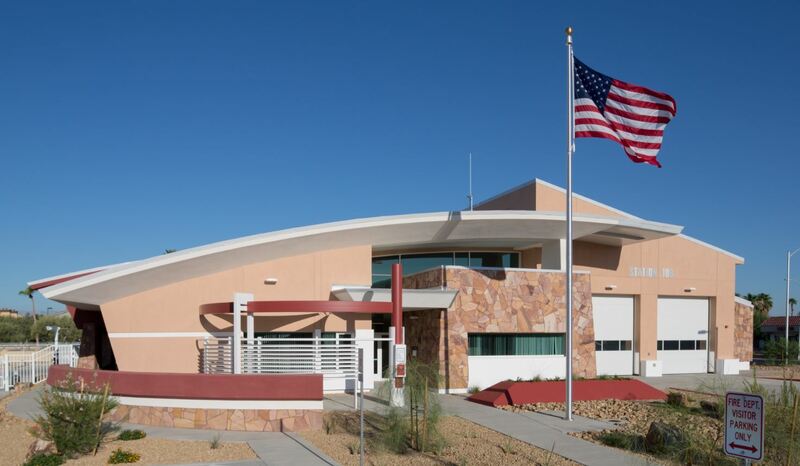 The architecture of the fire station incorporates a generous amount of natural stone veneer, single ply roofing, deep recessed windows, smooth plaster finishes and a warm color palette complimentary to the existing adjacent buildings. 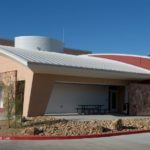 A soft, arched roof line is provided to recall the relaxed look and feel of a custom home, a feature many fire fighters desire. 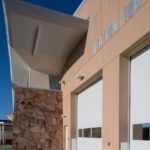 The fire station also offers generous amounts of window space which allow natural daylight into the fire station while also providing views to the lush landscaping at the station. 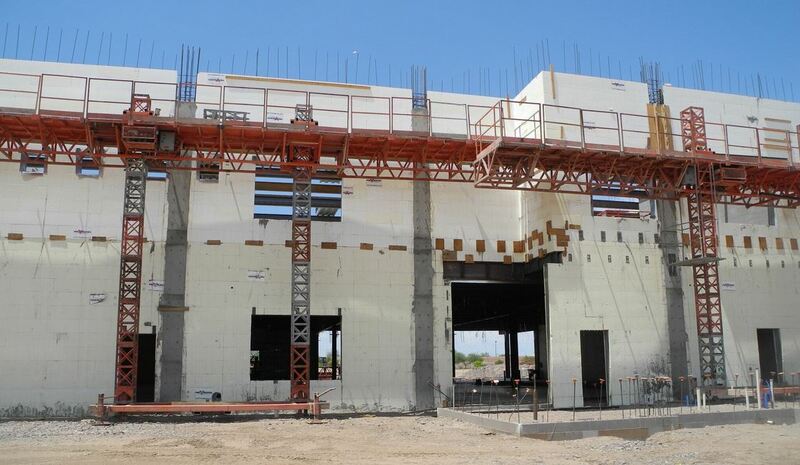 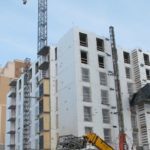 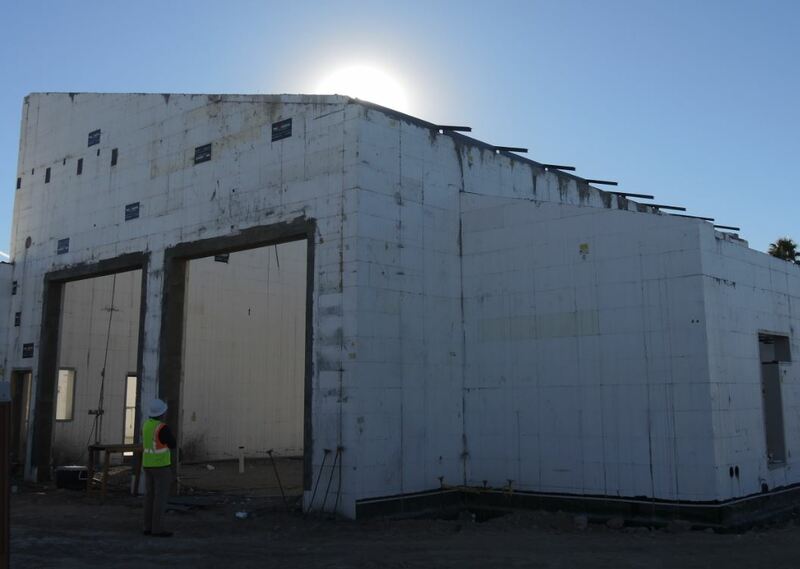 Fire Station 108 was a highly complex ICF project because the structural detailing on the project required that the top of the ICF walls be stepped to mount steel column stand-offs of differing heights connect the curved steel roof beams to. 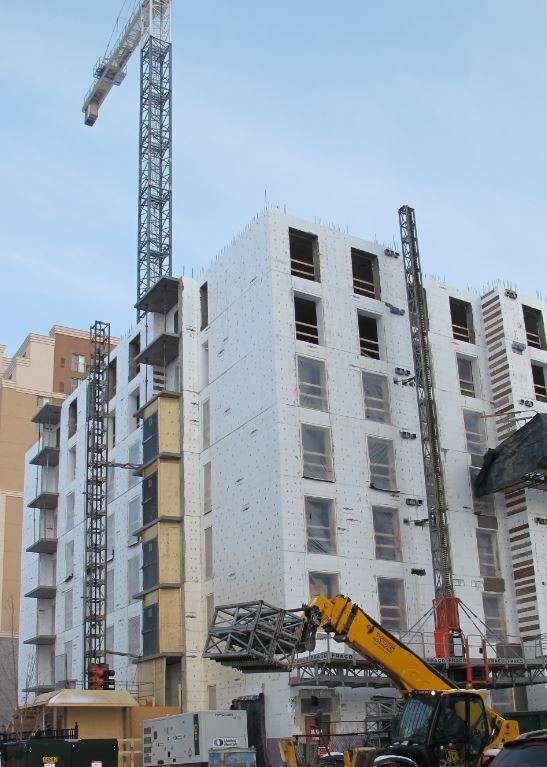 Stepping the ICF forms to coordinate with the radius of the steel beams presented special challenges for layout work. 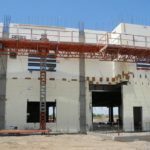 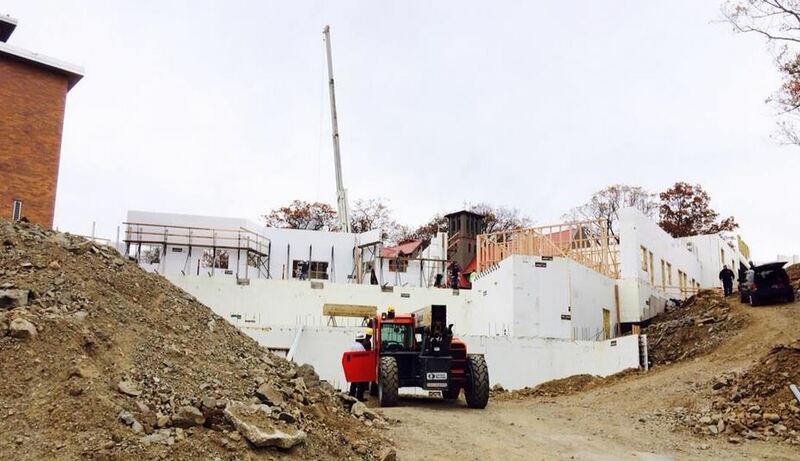 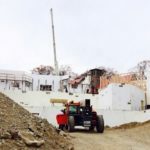 The ICF perimeter walls also continuously change height; some tops of walls were flat, but that top of wall had to be cut an angle to meet the curve of the beams, other walls changed height and then sloped down to conform to the architectural profile of the interior hall. 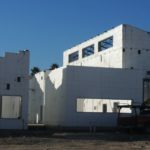 Another complexity of the project involved multiple framed exterior wall pop-outs which cantilevered off of the ICF walls because the pop outs terminated above ground level. 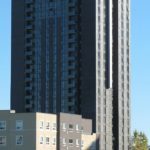 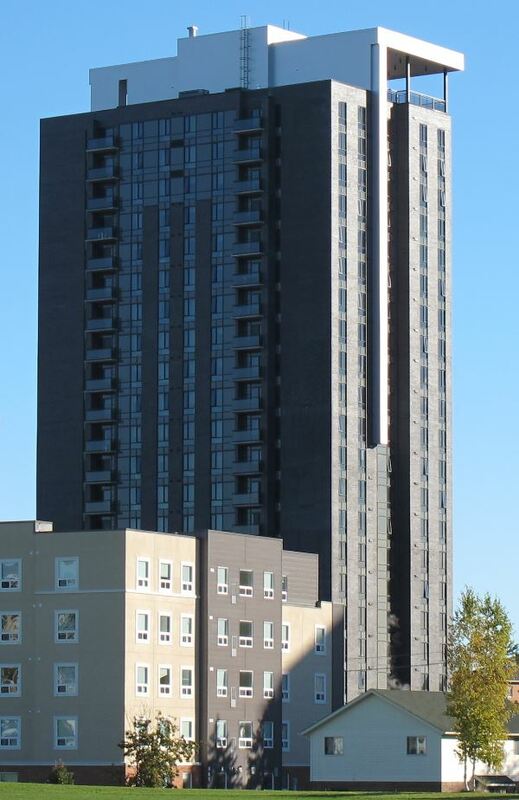 Most of the pop-outs had stone veneer finishing on them while others had an EIFS plaster finish. 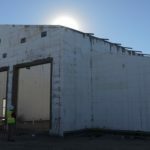 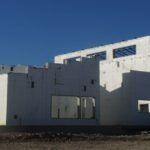 The framing dimensions of the metal stud pop outs and ICF walls had to be coordinated at window openings because the stud framing often had to set back from the ICF window opening to coordinate the different finish thicknesses.